Shenzhen Railway Station is one of the most important railway stations in the city. It mainly operates trains of Jingjiu (Beijing - Kowloon) line, Guangshen (Guangzhou - Shenzhen) Line, and Guangjiu (Guangzhou - Kowloon) Line. The North Railway Station is a high speed railway intersection in the city. Passengers from there can go to all the main cities, such as Shanghai, Beijing, Xi'an, Hangzhou, Wuhan, Changsha, Xiamen, and Nanchang. The West Railway Station and East Railway Station are smaller than the above two stations. From these two stations one can reach to Shanghai, Chengdu, and Tianjin, and other cities. From the Futian Railway Station, one can quickly travel between Guangzhou and Shenzhen. In the future, one can also have a day tour easily between Guangzhou and Hong Kong by high speed trains from this station. It was such a great experience booking with Travel China Guide. We had great communication with the consultant though we failed to refund the unused two sets of our train tickets (It was our fault- our flight was cancelled which afftected all our trips that followed). The tickets arrived the hotel even before we checked-in. Great and promt service. Thank you. Will surely book our train again in the future. It was my second time travelling by train in China, every time is better then the others. We travel in business and it was the first time of them, in general they prefer to travel by car, but after know the amazing and wonderful train travelling they never more use car. Very good feedback from the booking experience through your website. Very helpful traveling consultant, no problem of any kind in delivery and when boarding. It can be a bit tricky to find the right platform / track in train station although indicated. Also, even 2nd-class seats have enough confort for long-journey trips. I find this booking process very convenience especially for oversea customers, like myself. The staff/consultant are very knowledgeable and reply to my email questions quickly. Also, I find the delivery process to a local China address to be very helpful (in my case, deliver directly to my hotel). I love this new feature as this same me a lot of time from standing in the train station to pick up tickets. Our trip was very good. We pick up the tickets at one station. We have to pay for collecting tickets in one time. That we didn't know. For the rest we are happy with the service and we are use the service in the future again. I would be more than happy to provide feedback about my experience using travelchinaguide.com when booking train tickets to travel to different destinations. I would first like to say I feel very comfortable using travelchinaguide.com to book travel destinations online. It is easy to follow and use. The website is in English and comprehensible for English speakers to understand. I use this website every time I travel from Shenzhen, China. I've traveled to places near to Shenzhen like Guangzhou and very far places such as Beijing and never had any trouble or issues on the train. I also like that when you travel to far distances, you can choose a train that provides bedding for you to sleep. When I traveled to Beijing I chose a train which provided bedding because I was on the train for 22 hours! But of course I could have chosen another train that would get there in half time. I just wanted to experience what the bed would be like. The train ticket is in Chinese but travelchinaguide.com has a link that you can click on that shows you how to make sense of the ticket. Sometimes I have had trouble when picking up the ticket at the railway station because I do not know which line to stand on. The signs or all in Chinese. In this case unless you are feeling adventurous to figure out on your own, you may want to choose the option to have the ticket mailed to your address. I have yet to choose this option! Every railway station is different. Sometimes everyone waits in the same waiting room and other times depending on where you are traveling to you have to wait in a different waiting room. Just have your eyes open because you do not want to miss your train. If you are completely stuck, try to find customer service and ask. If you some some Chinese to communicate that would be awesome! Usually I sit first class on the train. It is a bit more money than second class but even still booking with travelchinaguide.com is very affordable. First class seating is spacious and with soft seats. You can even charge your phone! Travel is safe and comfortable. Second class seating is spacious too. There is not much of a difference between first and second class seating. My experience in general was pretty good. The booking was a smooth and easy process, the tickets were delivered to my hotel as requested, and everything worked flawlessly. I don't have other words but my appreciation to your agency which excel in delivering a customer focus service and experience. Would i use your service again. Absolutely!! Booking service was GREAT. Don’t change a thing. And the train is the most comfortable train ride I have ever experienced. Thank you for the help while organizing our travel by train in China. The tickets were all delivered at our first hotel as promised. By having all the tickets beforehand the traveling by train in China was a pleasure. We always arrived well in time at the stations, so no stress, and the trains were all leaving on time. We recommend very much to order the tickets from home, as it gave us a smooth and relaxed vacation. Which is the most convenient station to use to go to HK? It depends on the way you use for travel. First, by high speed rail, both Shenzhen North and Futian Station can be used. So you can decide it based on your location. There are many rides a day from both stations. If you plan to use MTR, there are Luohu/Lo Wu and also Futian Port/Lok Ma Chau can be used. After you go through the immigration check at one of the ports, you can use MTR (East Rail Line) to HK. May i know how long from the north railway station to Holiday Inn Express Luohu ? and what transport i should take ? If by public transfer, you can take subway line 4 to Shaoniangong and then change to line 3 there to Hongling, exit A. There is a bus station nearby and you can finally take bus No. 108 to Hong Gui Lu Dong. The hotel is around 150m away. The duration may around 50min. If you take the taxi maybe 40min. I want to travel to Shenzhen from meizhou. Will a bus be a faster route to take or a train? by rail, it would be around 6 hours. For buses the time seems different. Some says online around 5 hours but some other says 8 hours. I think they run on different routes. If you buy a bus ticket, you may ask the staff there to see if it is a fast one or slow bus. 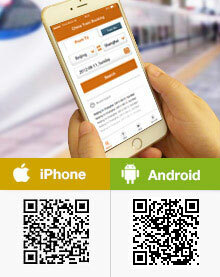 can i use metro card in shenzhen?or metro card can use in guangzhou only? So you have a metro card in Guangzhou? There are several different kinds of the cards, some could used in Shenzhen, some could not. By the way, the metro card could only be used for taking metro, not rail service between cities. SO, IF I WANT TO SHENZHEN?I MUST BUY OTHERS CARD?WHAT THE NAME CARD IN SHENZHEN?WHERE I MUST BUY CARD IN SHENZHEN? The metro card can only be used for taking metro within a city. If you want to go to Shenzhen, you have to buy a rail ticket at ticketing office or railway station directly. if you have a metro card in guangzhou, this can only be used in guangzhou. If you need a metro for shenzhen, you can buy it at some metro station or even some 7-11 shops. If you want to transfer between guangzhou and shenzhen, you may use rail service. You can buy a rail ticket at the railway station. what is the best train option to connect from Hong Kong airport to Shenzhen city center? There is no rail service between, you may choose bus instead for this trip. There should be some buses available from the HK airport to some hotels in Shenzhen. You may take one of them.